Leaders across the political spectrum, social activists and top jurists on Tuesday hailed the landmark Supreme Court verdict banning the practice of instant divorce among Muslims. As reactions from across the country poured in welcoming the judgment declaring instant talaq, a form of divorce under Islam which allows men to dissolve marriages instantly, unconstitutional, Prime Minister Narendra Modi and Bharatiya Janata Party chief Amit Shah called it “historic”. The judgment grants equality to Muslim women and is a “powerful measure” for women empowerment, Modi said. The All India Muslim Personal Law Board for its part said it will chalk out its future course of action at its working committee meeting in Bhopal on September 10 while Maulana Mohammed Shafique Qasmi, the Imam of Nakhoda Masjid in Kolkata, said the AIMPLB and experts of Sharia law should be consulted before formulating a new law. “Muslim Law is our own personal law and it has nothing to do with any other community. It should be left to us to decide on it,” Zafaryab Jilani, a member of the working committee of the board, said in Lucknow. Congress vice-president Rahul Gandhi while welcoming the verdict congratulated the women who fought for justice. Chief Congress spokesperson Randeep Surjewala said the verdict was an “affirmation of women’s rights” and would give them relief from discrimination. Union Minister of Women and Child Development Maneka Gandhi hailed the judgment as a “giant step” for women, adding that it’s about time that women were given the right to equality. Syed Ahmed Bukhari, the Shahi Imam of the Jama Masjid in Delhi, blamed the AIMPLB over the issue, saying it should have acted in a way to avoid the matter reaching the Supreme Court and find a solution to the contentious issue. Shiv Sena MP Sanjay Raut said nobody should see the verdict through the “prism of religion”. 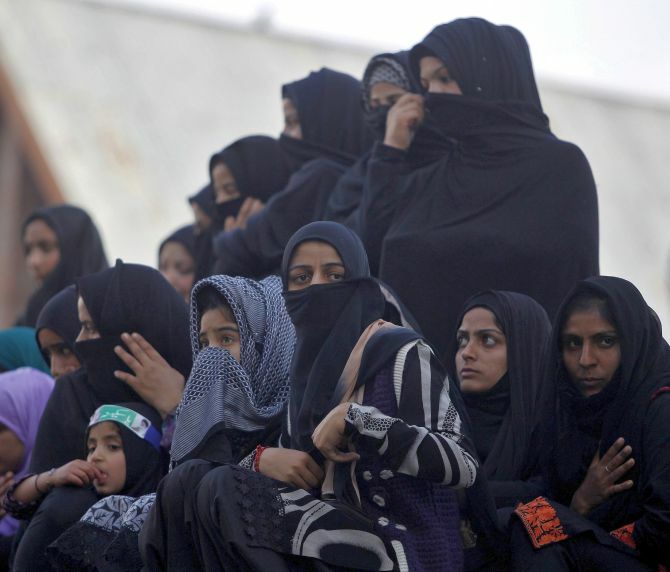 “I am elated to hear about this historical judgment which is not only for the Muslim women, but is one of the best reforms in India after independence,” said Zakia Soman, the co-founder of Bharatiya Muslim Mahila Andolan, which is also one of the petitioners in the triple talaq case.